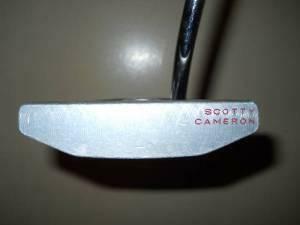 Unique Scotty Cameron putter, 35 inch right hand with Flat Cat grip. 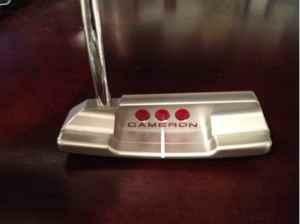 Scotty Cameron Del Mar Pro Platinum with a SuperStroke Fatso grip. Includes the headcover that my dad chose not to use when I loaned it to him. 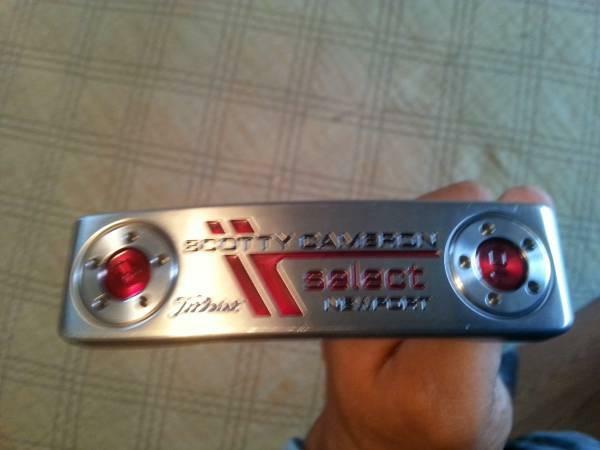 Hence the beat up condition of this beautiful putter. 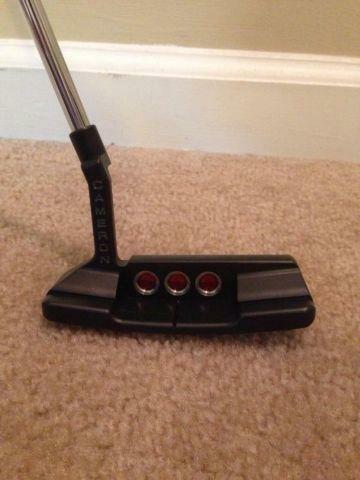 Used Scotty Cameron Putter for sale. Well maintained. Comes with head cover. Newport 2 34inches. Accepting CASH ONLY 200$ or best offer. 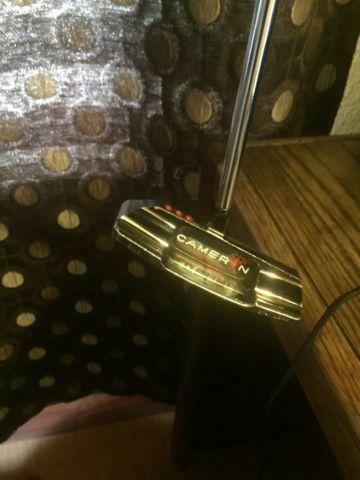 Awesome putter. Latest one out. Has upgraded grip but also comes with the original. For more information call or text the listed number.